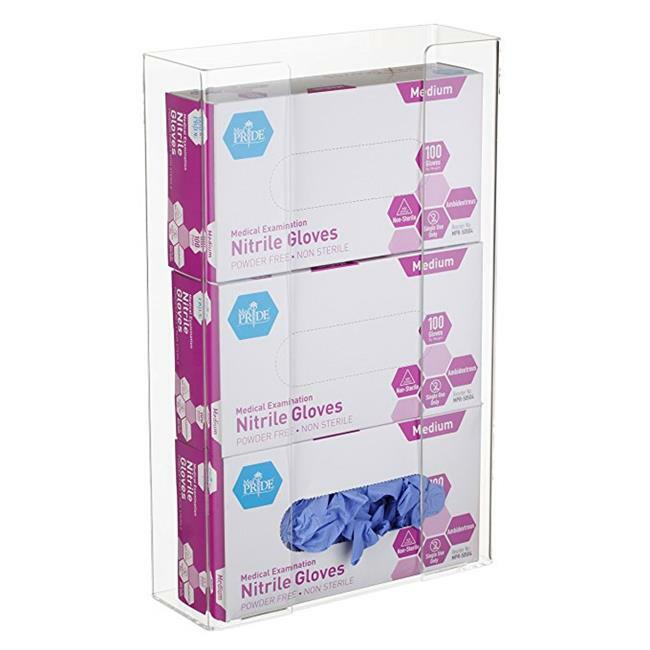 The Alpine Industries 902-03 Glove Dispenser is built from durable, high quality acrylic that keeps gloves neatly stored and organized. Its universal design can accommodate most brands and sizes. It alshas mounting holes for simple and fast installation, and it can be mounted vertically or horizontally. Perfect for your washroom, kitchen and office.